Ever since the revelation the other day, we began constructing the town around the temple again as a matter of urgent priority, and I was busy maintaining the dungeon that I had left alone for a while. Ever since that day that I became the Evil God, not a single person has come to invade the dungeon with the temple built on top. 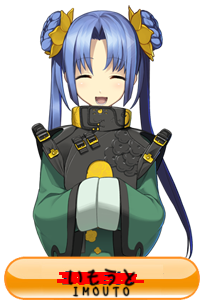 It’s not like I deactivated anything, so in that respect the dungeon was still ready for people at this very moment, but since I may as well, I decided that I would perform maintenance on various things just in case. Now then, with that as the preface, although this may be a little sudden, I’d like to change to the event that I’ve been waiting for. Indeed. It’s time for the much awaited dragon summoning. Dragon──the symbol of the strongest being that stands at the top of the fantasy world. Sometimes as the strongest enemy, sometimes as the most reliable ally, sometimes as the god that rules the world – though the position may change, the dragon is written as the strongest. A majestic body and sharp fangs. Tough scales and claws that can tear apart any matter of being. And finally, great wings fitting of the ruler of the skies. With just one breath, they can blow apart a great army, and are sometimes able to make free use of even powerful magic. The strongest monster, the dragon, is such a being. You can roughly split them into the lizard-like western dragons, and the snake-like eastern dragons, but it really has to be a western dragon, I think. I think there are all sorts of dragon fans, so there might be people who disagree, but at the very least, right now I’m the one doing the summoning so I’ll choose the way I like. Or so I was faintly thinking, as I performed the preparations for the dragon summoning. It’s a dragon after all, so I’m sure it’ll definitely be huge. It might be a little dangerous to summon it in the office where the dungeon core is. The truth is I made that kind of mistake during the summoning for the 20th floor’s orichalcum Living Armour, and I have bitter memories of having the room half-destroyed. I won’t make the same mistake again. Instead of the immobile main core, I held the portable subcore and teleported to the 30th floor boss room to summon the dragon. Even if I summon it somewhere else I’ll have to teleport it here anyway, so it saves time just to summon it here to begin with. The room has been the same ever since the day that I met with Leonora here. The throne is human-sized and unsuited to the dragon I’m going to summon, but I’ll think about changing the room after the summoning to match it. I muttered so with the subcore in my hand, and a window appeared. I chose the “summon” entry from it, and from various monster categories, I picked “dragon type”. And when I did, a list with various pictures of dragons and their parameters appeared. Fire dragons and water dragons and earth dragons and wind dragons – I felt like grinning just by looking at the lineup, but I worked hard to keep cool. Since I’m going to summon one anyway, I’ll go with the strongest. Since the day I became a divine, my mana’s just been piling up without any chance to use it, so I can pick whatever dragon I want. It was possible to sort the list by the amount of mana used, so I looked at the one with the biggest value… How cool. He looks strong. I’ll go with him. It’s not like I needed to say that, but it just came out of my mouth. When I began summoning, a gargantuan magic circle of 20m diameter appeared in front of me. When the magic circle flickered, an enormous amount of magic gathered above it, and space seemed to warp. And then, something giant began to show itself from that warp. That giant being let out a roar before my expectant eyes. There’s no better way to word my feelings. I just stood there dumbfounded, gazing at the tragedy before me. A majestic body and sharp fangs. Tough scales and claws that can tear apart any matter of being. And finally, great wings fitting of the ruler of the skies. A dragon with all of these things was cowering in a corner of the room, hiding its face against the wall. Literally the Japanese phrase, ‘covering your head and leaving your bottom exposed’. 500,000,000 mana points; an amount that surpasses just plain harassment, and is at a level where you just lose interest in summoning him to begin with. The most powerful and wicked dragon that had materialised in exchange for that ridiculous amount of mana let out a screech the moment he appeared on the magic circle, and as good as dashed away from me like a startled hare. Mn, it’s not as though I didn’t have some faint idea that this would happen. Lately I’ve only been talking to humans and demons, as well as divines who it didn’t work on at all so I totally forgot about its existence, but the description for the Evil God Aura skill certainly did say “has enough power to send a dragon running frantically”. I acknowledge this. I acknowledge this, but it really is cruel. I was even uncharacteristically excited while daydreaming about what would happen once the strongest dragon had my divine protection. But looking at him, it seems completely impossible that he’d accept me from the heart. And in fact, just taking a step forward from where I was standing had him tremble with a start, and frantically press himself further up the wall to escape. Ah-, he’s finally showing his belly. Don’t want. I don’t want the strongest dragon’s submission pose. I’m begging you, so don’t destroy my yearning towards dragons any further. No matter how I thought about it, staying here wouldn’t better the situation at all, so in disappointment I left the room. Instead of returning to the office, I just teleported to the temple on the 5th surface floor. There are plenty of things that I needed to do besides the dragon summoning, but I’m feeling really discouraged. Laying down on the canopy bed in my room, I hugged my pillow and buried my face in it. Hearing a lisping voice call out to me, I… had a look without looking that way. Apparently Lili had been in my room reading a book. She’s sharing a room with Tena, but lately Tena’s been busy and can’t look after her, so Lili’s been spending a lot of time in my room. I didn’t notice she was here, so I showed her something a little uncool. I got up and was about to turn to Lili and reply, when I hesitated because I had no idea what to say. Perhaps she noticed because Lili closed the book she had been reading, and then trotted up to me from the table. Apparently she realised my depressed atmosphere. She asked me that while patting my head, so my eyes grew a little hot. I soothed Lili, and patted her chestnut hair back. Lili narrowed her eyes comfortably. I was finding Lili’s actions lovely, when I suddenly noticed that she still had her collar, and unconsciously frowned. She hasn’t been blessed with my divine protection the same way Tena has, so she’s still a human. That’s fine in and of itself, but the problem is that she’s still a slave. When I became a divine, Tena joined the Apostle Race as well and was freed from her slave status. I considered that the same thing might happen if I gave Lili my divine protection as well, but there’s the possibility that apostles are immortal, so I was hesitant to change her at her current age. If I can learn to use my 『Authorities』 decently, then I think I’ll be able to release her from being a slave without changing her from a human, but it’s impossible at the moment. I removed my eyes from her collar, and spoke to her after changing gears. It would probably be better as study for her to read a book herself, but just a little bit as thanks for cheering me up should be okay. Finding it charming that Lili’s eyes were glittering in excitement, I nodded in reply. It feels that my heart that had splintered from that shocking event was now being healed. Lili held out the book that she had been reading. I looked at the title of the book. Talk about rubbing salt in the wound….ahahah! Poor anri.it’s ok! He’ll warm up to you…maybe. So sad poor Anri. I wonder if he will become a good last boss…. The setup for this was there forever, but I still didn’t see it coming. I can just see Anri fighting between laughing and crying. me too…I actually thought the cost was a ripoff for summoning a scare-dy cat dragon and forgot about the aura:[ The no life king was scared in a frozen way, and the orichalcum armor wasn’t really “alive” enough to feel fear i think so my mind didn’t register her summons as being THAT scared of her. The Girl and The Dragon o.O? you mean a Berserk Dragon pet who got sealed by his master (little girl)? A dragon falls in love with a girl, give up his immortality so they can have kid. Later on the dad die because of his mortality (the mom most likely long gone before), is reborn as his daughter’s pet dragon. And one day human decide to hunt the pet dragon and kill it. The girl proceed to slaughter the foolish human in her sorrow, awakening as demon lord. As part of her awakening, the dragon is resurrected as chaos dragon, causing more damage. The ‘friends’ of the girl finally was able to break her out of her rampage, and the girl herself puts down her pet. So what if it’s another novel? The classics are the classics. It is a golden dragon that can turn into a bishounen. A pet of a certain girl, a vampire princess that can’t do anything but to let him get in the bathroom with her to avaid any danger in her life. Or maybe it’s a silver-dragon-lamp-bishounen and an undying loli who seeks her own imouto? Why this chapter leading to tensei slime and ancient vampire princess ? Dragons are only food for dat spider. I hope Lily will take care of that dragon and become the boss at 30th floor. Imagine when they got into that floor and seeing an adorable innocent loli sitting on the throne, then suddenly she summons a black giant dragon. You guys are going to love the side stories. lol. And I can just see Anri’s face after reading that title. Had a crazy idea, tame the dragon with a carrot and stick approach, let it choose between Anri taking care of it and Lili taking care of it. If it bonds with Lili, she might just make it as a dragon tamer. Drop everything! I need the intermission with the dragon’s POV. Now! Many thanks to the sheeprabbit that deciphered these unholy scriptures. ROFL!!!! Of all the things to have a dragon cry out. XD It sounded like a frantic chicken cry. Sugoi, Anri-sama is the ultimate ! Fighto Anri-sama! That Dragon will be a fine sla- companion in no time. Don’t give up! Thanks for the translation Estelion! When I thought it was a chocobo when it roar’d. The dragon’s pose of submission reminded me of a dog’s. Go on! Rub its belly Anri! If I have to guess. Anri will have Tena be a pair with the dragon based on the book (remember, Tena is…smaller than normal girls her age) since she doesn’t want to give Lili Divine Protection, and Tena being her apostle might be able to give it to the dragon. So at the final boss floor it’s THE Apostle of Evil God and THE Black Dragon. And while the adventurers are going over the ‘us’ part. Tena calls out the black dragon. Honestly, I can see half of that. but since Tena, from Anri’s perspective, she is more of a friend than a subordinate, so she might probably ask her to tame the dragon for him to get even more OP. Oh Anri herself probably isn’t the one to propose it, if anything Tena will probably propose such idea. After all, remember when Lili arrived for the first time? Also, she studied dark magic from Leonora…do you remember that result? And THAT was before becoming apostle. I should’ve seen that coming. Poor Anri, so heartbroken. “Vardneel” is pretty close to “Veldora” in katakana though. Well, it depends on whether it’s spelled ｳﾞｧﾙﾄﾞﾈｰﾙ or ｳﾞｧｰﾄﾞﾈｰﾙ I suppose. This week’s rokka was good what are your thoughts? Siblings are nice… while mine is blowing up chunks elsewhere and me having to clean it. .. I was laughing so much at the end of the chapter. Poor Anri became more depressed, but the dragon should get to know her better soon just like little Lili…without seeing her eyes of course.Fight on Anri! Thanks for the translation! “Dragon, you haven’t lost yet. Accept my Divine Protection and assume your final form!” upon Leonora + the Demon Race’s elite getting it down to 10% hit points. I bet it would accept under those terms. If Anri sees the Hero(lol) cheats during her puzzle, she’s going to modify them to make them harder, more mind-blowing, more mind-breaking and deadlier. Hero’s puzzle cheats are one of the funniest parts in the story. It is the face plam moment right next to the dragon fight. Let’s see how long they “drag on” the “dragon”. That ending, so good lol. Thanks for the translations. Uh, for “but I’ll think about changing the room after the summon to match it”, shouldn’t the second “summon” be “summoning”? Looking at “Since the day I began a divine, my mana’s just been piling up without any chance to use it”, I’m guessing you wanted “became divine” or “became a divine being”? For the middle part I want to say that “my mana’s just been piling up without being used” or “my mana’s just been piling up since I haven’t had any opportunities to use it” sounds better, but if you don’t like it, oh well. I think that for “then I think I’ll be able to release her from being a slave without changing from a human”, you might be missing a “her” between “changing” and “from”. Not completely sure on this one. Poor Anri, her dream has been crushed XD, thanks for the chapter ! I don’t know if I should feel bad for Anri or the dragon. Well… At least it didn’t piss itself like a certain dragon in overlord… I bet it would be better if she just gave him divine protection, would weaken the fear effect, I think.